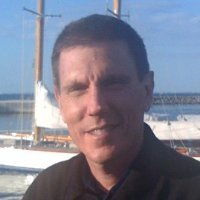 Steve Temme is Founder and President of Listen, Inc. a manufacturer of software-based measurement systems for testing electro-acoustic and audio electronic products. Steve was awarded a BSME from Tufts University in 1985. He worked for many years as an acoustic test and measurement applications engineer at Brüel & Kjær, and also as a loudspeaker design engineer at Apogee Acoustics prior to founding Listen. He has authored numerous papers on acoustic testing and lectured extensively throughout the world.